Newcomer Family Obituaries - J. Michael Buck 1957 - 2018 - Newcomer Cremations, Funerals & Receptions. The Rev. James Michael (Mike) Buck died with the confidence of Christ’s redemption and love on Oct. 27. The peaceful look on his face at his death confirmed his readiness to enter God’s presence. Born to James Norman and Sara Jane (Brush) Buck on Sept. 17, 1957, in Brazil, Indiana, Mike completed the family. “Two people never enjoyed a baby more,” Sara once told one of her granddaughters. Mike attended Brazil High School, graduating in 1976, then attended Olivet Nazarene University where he earned a bachelor’s degree in theology and a master’s degree in pastoral counseling. He joined the school’s elite choir, Orpheus, and earned a reputation for being witty and somewhat bullheaded. At Olivet, he met the love of his life, Dale Christine Metcalf, although their relationship almost never happened. “She was engaged to someone else,” Mike liked to remind everyone. They married on Dec. 21, 1979, and soon had two sons, T.J. and Michael William. Mike and Dale opened their home to their sons’ friends, who enjoyed Mike’s sense of humor. “My friends said he was always good for a laugh,” Michael recalled. Mike was ordained by the Church of the Nazarene in 1986 and was a licensed minister with the denomination for 44 years. The family served in several Nazarene churches, including those in Chesterfield, Fortville, Springs Valley and DeMotte, all in Indiana, and in Darbydale, Ohio. Mike and Dale worked as a team, providing not only biblical teaching but music ministry and counseling to each congregation. Mike also served as the Northwest Indiana District’s youth president for several years, providing guidance to dozens of Nazarene youth groups in the district. While at Springs Valley, Mike volunteered with the fire department. His first fire was the largest in French Lick’s history – and most of Main Street burned down. Mike retired from full-time pastoral ministry in 2010. During his lifetime, Mike acquired affinities for hunting, reading and writing, loves he passed on to his children, grandchildren, nieces and nephews. His faith in Christ, though, is his greatest legacy. For many years, Mike fought heart and circulatory problems. He used every opportunity to share his faith with those around him. After his last hospital stay, he told his sister, Susan, that he felt he spent his time there ministering to the staff. “Mike said it was God’s confirmation that he still had a ministry,” Susan shared. Yet Mike was physically tired. His wife and sons knew his health was not improving and did everything they could to help and encourage him. Dale said she and Mike spent the last few weeks of his life talking about various issues, which she said was a gift from God. “We were ready. We left no words unspoken,” Dale assured the family. His dad, Jim, said he has peace. Mike was preceded in death by his mother, Sara. 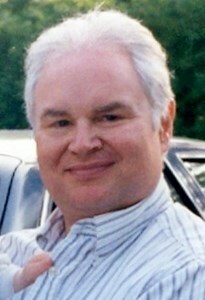 In addition to his wife and sons, Mike is survived by his father, Jim (Brazil, Indiana); his sister Susan (Roger) Shanks (Marion, Indiana); grandchildren Joshua, Hailey, Elijah and Judah (Grove City); several sisters-in-law, brothers-in-law, nieces, nephews, great nieces, great nephews, and close friends. Visitation will be Friday, Nov. 2, from 5 to 8 p.m. and Saturday, Nov. 3, from 10 to 11 a.m. at Lifepoint Church of the Nazarene (3915 Dublin Rd., Columbus, OH 43221). The Rev. Mark Hinshaw, one of Mike’s closest friends, and the Rev. Brad Kochis will officiate Mike’s funeral at 11 a.m. on Saturday. Interment will be at later date. Add your memories to the guest book of J. Buck. So sorry to learn of Mike's passing. My deepest sympathies go out to his entire family. Mike was my classmate in both high school and in college. We were in our church's youth group and choir. His dad and my late dad were buddies. Mike's voice was angelic and he was such a sweet guy, a friend to all. He is missed. There are so many memories of shared times of ministry... youth camps... churches … retreats... MPC at ONU... I always enjoyed being with Mike and appreciated his sense of humor and ministry intensity. My heart goes out to you, Dale and the young men (I almost said boys). But our sorrow is tempered by the knowledge that we will meet him again when we are reunited around the throne of God. May God's grace sustain you, His strength support you, and His peace surround you throughout your days of grief. So sorry to hear this news. It certainly is a bittersweet time.., there is no doubt that Mike heard for our Lord and Savior, "well done thou good and faithful servant....! First met Mike as a student at Olivet. We shared several many classes together and then served on the ONU Regional NYI for several years. Enjoy your great reward and rest! I attended ONU with Mike I appreciated his friendship. He was a good person and I am sorry for your lost. James Michael Buck ( Uncle Buck) Brought My hand in marriage to My Husband Brian DeFranco on September 8, 2012. He has also Ministered several of My Family's Funerals. He Became part of the Family! Jokingly I said to Him Rev. ( Father ) It seems so strange calling you Father when you are So-young He replied, Well I could always be an "Uncle Buck" As we laughed and from that moment on, We knew Him as Uncle Buck! Rest Easy, forever Missed by those left Behind! Pastor Mike Buck was my pastor after I got saved in 1988, he left such an impression of how to serve and how to love our God. That Jesus would fill all the voids I had and heal the pains of life. We shared two moments that have stayed with me for over 30 years. Rest my friend you have served well. So sorry to hear of Pastor Mike's passing. I know he is enjoying Heaven. I always enjoyed times spent at Darbydale when I came back home. Pastor Mike was such a comfort and support to our family during our mom's last days. I consider him a true friend. Prayers for you and your family Dale. We are sadden to hear of Pastor Michael Buck's passing. We were blessed to have him as our pastor & neighbor while we lived, for several years, in Darbydale Ohio. He officiated both of our children's weddings, baptized our grandchildren and helped our family in the good times and bad. Pastor Buck loved the church and the Lord and showed love and compassion to those he ministered. He will be missed by many. We send our love and prayers to Dale, TJ and Michael, knowing God will carry them in His loving arms through this difficult time. A few years ago, I had a terrible incident in a church. I never dreamed such a thing could happen, and -- so traumatized (!) -- I called Mike (I called my co-worker and friend "Mikey"). In short, no one could have been more comforting or calming. He was that "balm in Gilead" the Bible speaks of. I will never forget his care or prayer on that dreadful evening. Be joyful, be loved, be new, good sir. Pastor Buck helped me learn a deeper understanding of Gods word. He was an amazing man who helped me and my family through the passing of my mom and who also baptized me and my son. I will always have the memory of his patience and kindness to me. We have a lot of good memories of Mike in our Teen group at church. He will truly be missed. Susan, I sorry to hear of your brother passing. Sounds like he was a blessing to all. I praying for you and all the family. He was a great friend and pastor he was there for one and others and he llistened . had a great voice very much organized.glad to have met him and glad he was there for us. Mike has always been a great inspiration to both of us and so happy you came to Lifepoint.